The four women face-off in softball, soccer and a watermelon eating contest! 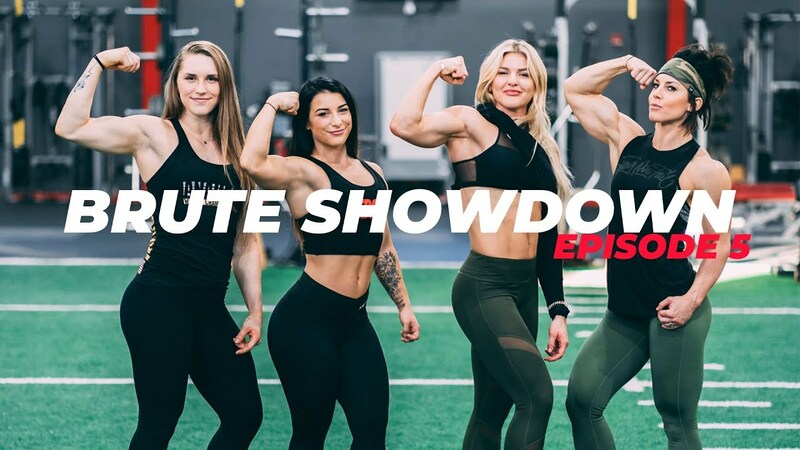 So, Brute Strength’s series where four elite female athletes face-off was exciting and we got to see these specialist show their talents off to the world. But the last episode has concluded and there can only be one winner among these impressive ladies. Now, if you’re not familiar with the series it took place over two days and consisted of eight total events where elite female competitors in four different sports battled to see who was the best all-around athlete. The first video was an introduction to the athletes and in the second we saw the first two events of the competition. Maddie Rogers (Weightlifter) won the max clean and Maddy Forberg (Powerlifter) won the deadlift. Brooke Ence then won the CrossFit event in the third episode and Dana Linn Bailey won the pose-off, while Maddie Rogers got the victory for the football combine in the fourth episode. But now, we’ve arrived at the Grand Finale where they faced off in a softball, soccer, and eating contest… that’s right, an eating contest! For softball, the ladies were pitched 6 balls and whoever hits the most wins. Then for soccer, there were two rounds of three attempts to kick the ball into the net with 15 seconds on the clock, so the most goals scored declared the winner. And finally, each athlete had to eat as much watermelon as they can in 2 minutes. Check out the last episode to see which athlete was crowned the Brute Strength champion!